Camping offers a unique experience, and whether you are going with friends, family, or alone, you are sure to make lasting memories while you are out on your trip. It gives you a chance to get away from the busyness of everyday life and reconnect with the outdoors – something we should all do more often. It’s never too late to start camping, and we understand that it can seem quite daunting if you are new to the concept. With this guide, every novice will find the art of camping (and preparing for it) is actually a lot easier than it appears. Without further ado, here are the ultimate beginners camping checklist and essential tip guide – keeping you safe and informed on your journey through the wilderness. 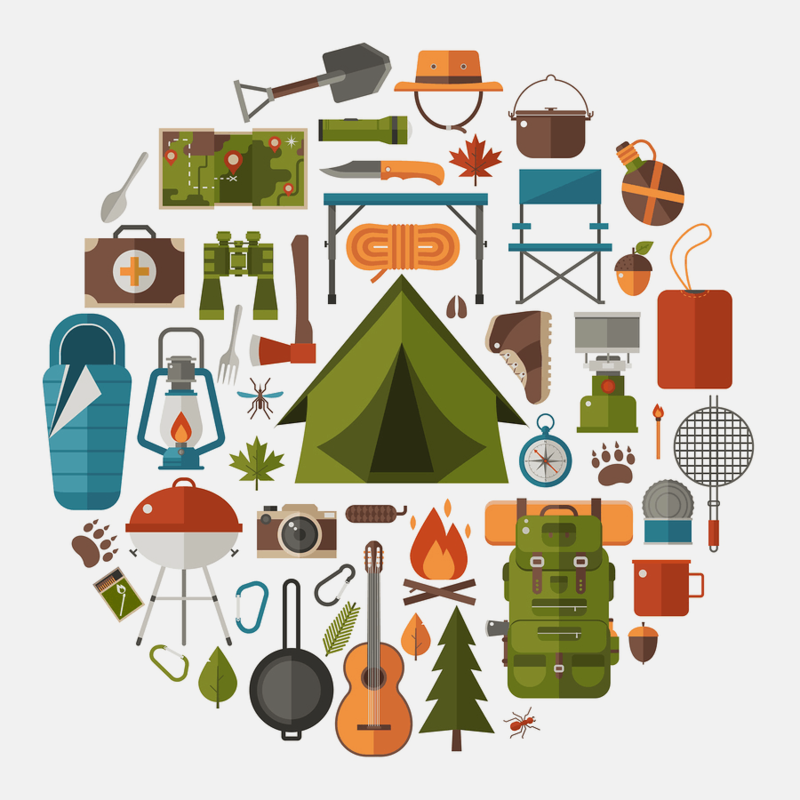 Contrary to what you might think, there are actually several different types of camping and campsite. Each of them varies slightly, as they have different styles and rules to go with them. From the classic form of camping, to the more luxurious style, glamping, there is a way to connect with the outdoors that suits you, and your companions, perfectly. This is the traditional form of camping, where you head off to the woods or campsite to set yourself up. There is not usually any electrical hook-up, although you might find some sites that provide this for an additional fee. Most of the time, you will find that there are toilet and shower blocks on the site, but if you choose a more rustic form of camping, then you will not have access to such amenities. You will have the option to choose from a number of different sites and can check with the campsite operator, or the website, to see which facilities are available. This stands for glamorous camping and was actually first developed in the 1900s by wealthy European and American travellers who were visiting Africa. They did not want to sacrifice luxury in order to experience the location, and so they brought their lifestyle with them. Glamping tends to feature access to electricity, private bathroom facilities, and many of the amenities you would expect to find in a hotel. The tents are often like huts as opposed to your classic shelter, and sometimes yurts are used on more permanent sites. It is a form of camping that is growing very popular due to the level of comfort provided. This form of camping tends to be a little different from the others. After all, festivals are all about enjoying music and activities, but with no hotel or other accommodation, camping is the only way to go. It tends to be more crowded, and there are not necessarily allocated positions for tents to be pitched. There are usually shared facilities in a designated area, such as toilets and showers, that campers can use at any time. Some festival campsites will have shared cooking areas, but there is usually enough space for each tent to have their own little stove. It is often somewhere between classic camping and glamping. This is a fun form of camping that you might want to try out once you have had a few taster camping trips. During the day, people race on foot or using mountain bikes (depending on the rules) and then camp in a minimalist way at night. They tend to use a very basic form of shelter, as well as a lightweight sleeping bag and stove that they can carry with them easily during the day. This is quite close to wild camping, and there are no amenities available. This form of camping is most common in deserts and is often preferred in such climates due to the risk of flash flooding. It is where you camp at a site that does not have a pre-existing water source, and so campers must carry their own to the camp, as well as outside of it. This form of camping requires a lot more preparation, and it most commonly found in the USA. Dry camping does not really exist in the UK. There do not tend to be bathroom facilities at these sites, and if there are, then you need to collect your own water. If you like watching programmes like Bear Grylls and want to try it out for yourself, survivalist camping is right for you. Of course, it’s not recommended as the first form of camping you try out, and you should take a few regular trips before you decide to become a full-fledged survivalist. It takes time to learn how to survive in the wilderness, and those who have done so spend their camping time foraging for food, making shelters, and also know how to apply emergency medical treatment. They also know orienteering and pioneering. If you enjoy the camping experience, taking a survival course might be good fun. This takes place in the harsher and colder climate that the winter brings with it and, typically, this includes camping in the snow. However, it does tend to take place in areas that have full seasons, as opposed to those that are consistently covered in snow. For this kind of camping, emphasis it put on gear that is not only high quality, but also incredibly lightweight. This form of camping does leave you at risk of things like frostbite and hypothermia, and so it is important that you are not only correctly prepared, but also trained to tackle the climate. This form of camping takes place across the world, and it is the perfect way to really experience and connect with the world around you. Often, backpackers will pack lightweight gear that they can carry easily during the day, and there are a variety of campsites available. Some of them have a good range of facilities for washing, and others take a more rustic approach so that you can experience the wilderness. In the USA, and even in some parts of the UK, backpacking may also use a horse to carry the equipment, with the backpacker riding to each destination. This can be a really exhilarating way to travel. Canoe camping is also very popular in the USA, and it takes on the same approach as using a horse, but the canoe can afford a lot more weight and also allows for the beauty of river travel. Road access for vehicles to park so that your car is relatively close to your tent. Suitable parking for your car to prevent damage. Picnic tables or designated eating areas. Marked boundary lines between camping areas. Reservations to ensure there will be available space to camp. Utility hookups, such as electricity water, and sewer. Not all campsites will have this, however. Raised platforms on which to set up tents. Sinks and mirrors in the bathrooms. A small shop for purchasing necessities. Fireplaces or fire pits that you can use to build campfires. Perfect for marshmallows and wild cooking. Wood, for free or for sale for use in cooking or for a campfire. Garbage cans or large rubbish bins. A small campsite is usually suitable for up to nine people, and it will often include two tent pads for you to pitch your tent and get settled. The large campsite tends to be designed to fit up to 18 people and will often include four tent pads so that you can set up easily and start enjoying your holiday. Usually, you can ask for a specific size of tent pad if the site offers them. Some campsites will include a picnic table for your group, but not all of them will, so you should make sure to ask before you arrive. When it comes to group campsites, these are often made to accommodate up to 30 people (and sometimes more), which is perfect for very large family camping trips, or outings with members of a club or organisation. 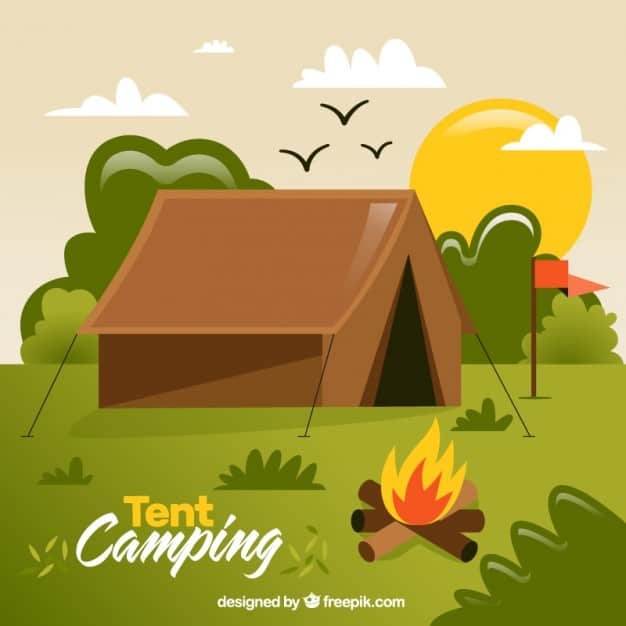 Usually, you can expect to have eight or more tent pads (if they are provided by the site), and possibly a couple of picnic tables if the site offers them. Similarly, if fire pits are included, you can expect either one that is very large, or two separate ones. Just because you have a physical disability, does not necessarily mean that you cannot enjoy the beauty of camping. There are many accessible campsites across the UK and USA, and all it takes to find them is a little research. To get you started on your search, here is a UK website that will help you look for accessible campsites. The USA is a little trickier because of how much things vary state by state, but here is a little something to browse through while you are looking for accessible places to camp. These are the same thing, it’s just the name that is different. In the UK, they are called holiday parks, and in the US, they are known as trailer parks. These don’t use tents and are instead made up of temporary mobile homes that can be rented out for a period of time. Usually, they are like small houses that include all of the basics you need to live – including indoor plumbing. There is often access to a communal laundry room as well as entertainment blocks that include things like restaurants and an activity centre. In the USA, free campgrounds were called for in the early 1900s, and they were established in the four National Parks that already existed – Yellowstone, Yosemite, Mount Rainier, and Sequoia. The term free campgrounds mean that it is possible to camp on land owned by the government. In a few short years, the number of National Parks rose to around a dozen. Even today, these parks make great places to go camping. The nightly fees tend to be very low in each of the National Parks, and they have a large number of spaces, as well as loads of amenities – including flush toilets on some of the sites. Of course, the main issue with sites like this is that they do fill up very quickly, and so making a reservation well in advance is strongly advised. Of course, as with any campsite, it is important to read all of the rules and regulations before you arrive. This form of camping is common in large and undeveloped areas, and they can only usually be reached on foot, canoe, or horseback as they tend to be in remote locations. The campsites are usually in established zones and have a series of strict regulations that need to be followed. Campsites like this need to have permits in order to operate, and so it is important to check that your chosen location is licensed before you decide to go. They can also only hold a certain number of camping spots, so reservations in advance are highly recommended if you want to nab a spot – especially during the peak summer season. Check out this great infographic from Trayon if you are interested in Wild West camping. The UK Camping and Caravanning Club are the license holders of a large number of certified and certificated camping locations across the UK. It’s the largest camping community, and certainly, one that is worth joining if you end up enjoying your camping trip. These campsites are privately owned and specially approved by the club, which is what makes them such reliable campsites. Usually, these campsites are reserved for use by club members only, so it might be worth considering a membership once you have got into the swing of camping life. Tents are not just a one size fits all kind of thing, they come in various shapes and sizes. You might think that picking the first one-man tent off the shelf will do just fine, but you might actually be wrong in your choices. There are a number of different types of tent, each of which suits a different camping style and situation, and some of these can be pretty tight – so a one-man tent might not even have enough room for a single person. Before you buy your tent, you should take a look at this section to see which tent is going to be right both for you, and the type of camping you’ll be doing. The first thing you will want to look at is the size of the tent. Whether you are going alone or with a group of people, size does matter when it comes to your shelter. For example, there are some types of tent that can be quite cramped and will barely fit one person, let alone a person and their gear. It’s always a good idea to keep your equipment in the tent with you so you will want something that has plenty of space to offer. Tents can fit anything from one person to 16, and there are some tents that even go a little larger than that. No matter the size of your party, you will find something that works for you. Just make sure your chosen tent has enough space for you, your gear, and to move around a little. Basic Ridge Tents. These are the classic tents, and they are the ones that you see in your mind when you think of camping with a tent. They have a pole at each end to hold them up, and are sometimes accompanied by a ridge pole at the top for extra security.They are a really sturdy tent to have, and they come in a range of sizes – from a one-man tent, to a large marquee. The only real issue is that there isn’t much headroom, so you will have to watch out when you stand up in your tent. Dome Tents. These tents use flexible poles to erect them, which is why they are dome shaped when they have been pitched. They have fast become a popular model, and you will see a lot of them on your camping trips. The smaller models are very sturdy, and definitely some of the most stable around. However, when you get to the larger sizes, they can lose this a little and become slightly more fragile. Geodesic and Semi-Geodesic Tents. The reason for the name of this style of tent is that the poles criss-cross around the outside of the tent to form triangles. The reason for them being made this way is that it evenly distributes stress across the entire tent, which is what makes them one of the strongest and most reliable models in all weather conditions. They are perfect for activities like mountain climbing. The semi-geodesic tents use fewer poles for conditions that are less extreme, but they are still just as sturdy. Instant Tents (Quick Pitch). These tents really do pitch themselves. All you need to do is release the coiled spring, and the tent will be perfectly erected in front of you – you just need to peg it down. They are perfect for festivals and good weather camping, as their lightweight nature means that they aren’t great for windy or poor weather conditions. You can get some that have been made to be more robust so that they can be taken on real camping trips, but there aren’t many of these around. Inflatable Tents. These are quite rare, and you probably won’t see many around, but they are a really great option for all forms of camping. They work like an inflatable bed. All you need to do is peg it into the ground, attach the pump, and then stand back and watch as your shelter is erected. However, they can be pretty expensive to buy, and you’d be surprised by just how much they weigh. Tunnel Tents. These work a lot like taller and wider versions of the dome tent, and they use the flexible poles that have become so popular. Perfect for family camping, the tunnel tent offers a great deal more space, giving you a roomier camping experience. There are a massive number of sizes and styles to choose from, and you also have the option to purchase them with rigid poles as opposed to the flexible ones. Vis-á-vis. This is also based on the dome tent. After all, once they started to become popular, it was soon realised that larger groups that wanted to use them would require more space. These tents tend to have the main entrance/living area, and then there are annexe bedrooms on each side to make things a little more spacious, but also to give privacy to the people you are camping with. They can come in dome, tunnel, or square shapes. Khyam System. These instant tents have been sold for over a decade, and they are the most well-known of the instant tent brands. They can hold a flexible pole straight or bend as desired, creating a form and steady structure. Plus, it’s pretty easy to get done, with instructions that are easy to follow. Frame Tents. The traditional rigid frame tent is still a popular choice among campers, and it can provide you with a pretty sturdy structure. Despite the rigid poles, they still offer a great deal of space and headroom, so that you can be comfortable when you settle down for a night in. They are a little heavier than most other tents and take longer to set up, but they are good quality, which makes them worth the extra time and weight. Pod Tents. These are some of the largest tents on the market, and they are perfect for family camping trips. You have a central pod where everyone can congregate, and then separate pods that branch off to create a little complex. This gives everyone their own space. The only issue is that the amount of space they take up means that many campsites won’t allow them, and they also take a lot more time to erect and get ready for use. Tepee. These make fantastic and easy to erect tents that will bring a little fun to your camping trip, especially if you have kids. They are best suited to fine weather camping or festivals due to their lack of an inner tent, but there are some models available that have been made to withstand wet and windy conditions. Double skin tents. These tend to have an inner tent and an outer fly sheet that has been designed to prevent the inside of the tent from getting wet. What happens is the fly sheet is suspended above the inner tent but does not touch it, as this will cause rain and condensation to penetrate the inner tent. It’s definitely a more protected way of camping than the usual single skin tents. Waterproofing. Generally speaking, tent fabric is made from a waterproof material. The level of waterproof that the material is, is measured by something called a Hydrostatic Head Rating. For example, the minimum standard for a tent to be waterproof in Britain is 1,000mm. The higher the rating, the more waterproof the tent is – with 2,000mm being ideal for wind driven rain. Porch/canopy. A large number of tents will have a porch attached to the front of the tent, or you can buy them separately to secure to your shelter. They provide a safe and dry place for you to store your gear if there is not enough room inside, and they also make the perfect place to cook on wet days due to the good air circulation. You could also purchase a canopy, which tends to have more headspace than a porch, but it doesn’t usually come with the groundsheet or side sheet. Air vents. Whether you are breathing, have wet clothes, or the weather is humid, condensation is going to happen inside your tent. This can make the atmosphere inside very muggy, and so air vents are great for letting the condensation escape. Plus, doors and windows in your tent will help this process, so try to keep them open during the day when you are at the site. You can get nets for these too in order to keep mosquitos and other pesky insects out. Double zips. These aren’t essential, but they are a good thing to have. They allow you to zip the entrance to your tent from the inside, as well as from top to bottom. It adds a little more security, and also makes things a little easier for you. Camping is not always a cheap pastime, and it can end up costing you a fair amount once you have bought all of the different pieces of kit and equipment. As a result, it can be handy to borrow some of the equipment from friends or family, and to just buy the bare necessities when you are on your first camping trip. Of course, there are also a number of different forms of camping, and these can require slightly different pieces of kit. 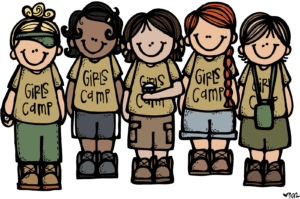 Plus, every camper is different, and may have varying preferences. Tent. You should always choose a larger berth than the number of people camping, this gives you extra space for your gear and luggage. Tent Accessories. 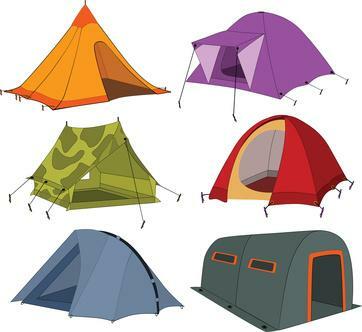 These can include, but are not restricted to, a tent porch, tent carpet and tent footprint/groundsheet. The accessories will depend on the type of tent that you own. Spare Tent Pegs. You should always bring double the number of pegs you need so that you can replace bent and damaged ones quickly and without panic. Mallet. This is used to knock the pegs into the ground. A hammer does make a good alternative. Lantern. These can often be hung inside your tent and will provide you with some light in the evenings. Duct Tape. You never know what you are going to need to fix, and duct tape works wonders. Sleeping Bag. You can buy double or single sleeping bags, so couples don’t have to go alone. Sleeping Mat or Airbed – whether roll mat or double airbed, this can add comfort and extra insulation during the night. Pump for the airbed, if you are bringing one. Pillow for a little extra comfort in the night. Flashlight so that you can see where you are going when you need a late-night pee. Backpack to store all of your gear and stuff in, definitely an essential item. The list for family camping is not much different from the essentials one, but we have gathered all of the key items you will need here so that you have a quick reference when you are looking for the basics. Mallet or hammer for pitching the tent. Spare pegs – just in case some get lost or bend. Always bring double the amount you need. Sleeping Bags for cosy nights and to keep warm. Air mattress/Sleep Mat if you are looking for a little extra comfort. Pump for your air mattress if you are using one. Pillow to prevent sore necks when you wake up. Stove for cooking family meals together. Matches/Lighter for the fire outside, but also to help light the stove. Pots and Pans for cooking. Cool Box and Ice Blocks to keep food fresh. Dish Cloth, Sponge, Washing Up Liquid for the dirty dishes. Washing Up Bowl so that you can wash the dishes. Tin Opener and Bottle Opener. Mini First Aid Kit. See the first aid checklist for a more detailed collection of what should be inside. Supplies of essential repair equipment. So, things like cable ties, string, duct tape, and a sewing kit. 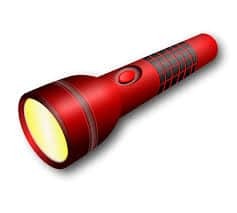 Torch so that you can see where you are going when it gets dark. For a virtual guide to family friendly campgrounds, see FamilyTravelForum.com. Festival camping is a little different from the traditional forms. In many ways, festivals are just one big party, and so the checklist for places like this has a few variations. A reusable water bottle, to fill up from the free taps on site. Roll mat for a little more comfort and protection from the damp. Wellies or sturdy boots because it gets muddy. Toilet roll. There is nothing worse than finding you’ve run out. A warm jumper (it can get cold at night). Sun tan lotion for protection from the sun. Waterproof trousers and jacket in case it rains. A change of clothes in case you get wet. Medical information (if you have any allergies or medical conditions). ID, for events and alcohol purchase. Hat for keeping the sun out of your eyes. Contraceptives. It sounds crude, but it’s an important thing to have if you are attending a festival. Mark valuables with house name and postcode so they can be posted back to you. Seasoning. Salt, pepper, and other herbs/spices. Cooking oil/spray, depending on your preferences. Condiments. Things like ketchup, mustard, and BBQ sauce. Tea, coffee, and hot chocolate. Buns for the burgers and hot dogs. Meat, both fresh and cooked. Energy food (bars, gels, trail mix). Water container. This is ideal for drinking water, or trips to the onsite tap. Thermos flask for soups or hot beverages. Stove and/or BBQ for cooking meals. Gas or Charcoal. This depends on your choice of cooking appliance. Pots and Pans. These should be lightweight and durable so that they can be transported easily. Skewers for marshmallows or kebobs. Low Wattage Appliances, if you have an electric hook-up on your campsite. Kettle. Electric or one that can be heated over the stove, depending on your campsite and their amenities. Tableware. This includes plates, bowls, cups, and any other relevant items. Chopping board for preparing food. Biodegradable dish soap for washing the dishes. Basin. It can be used to wash the dishes and, if not, it will certainly help to carry dirty dishes to the campsite wash area. Sponges for washing the dishes. Dish towels to dry the dishes and also your hands. Tin Opener. If you have a lot of tinned food, it is essential that you remember this. Vegetable peeler, so that you can peel things like potatoes and carrots. Cool box. This is essential for transporting fresh food, such as meat and vegetables, as well as pre-cooked meals. Matches and a lighter for the stove/BBQ, but also to help light the campfire. Wet wipes for cleaning your hands after cooking or eating. Bin bags so that you can dispose of rubbish, but also allowing you to keep the campsite clean. Portable GPS to help you know where to go. Maps, just in case the GPS breaks or your phone dies. Compass to help you stay on the right path. Binoculars for bird watching and nature viewing. Walkie-talkies for keeping in touch. Guidebook to help you identify places and where you are. Interpretive field guides (flowers, insects), to help you identify various plants and insects and also to see if they are safe. An umbrella for wet days. Backpack to keep everything in. Whether you are camping in the summer or winter, you need a good stock of clothing to take with you. Here are some essential pieces of clothing that you should make sure you pack with you to stay safe, warm, and protected. Extra clothing – the temperature does drop at night, layer up and you can remove layers as you get warmer during the night. Plus, if some clothes get ruined or dirty, you will have extra. Hat. Depending on when you go camping, you should bring a baseball cap for the summer to keep the sun out of your eyes, and a warm hat for the autumn and winter months for the colder weather. Waterproof and breathable jacket. If you get packable ones, they become very compact. Thick and warm coat for cold weather. Wool socks. These are both warm and breathable, so they will keep feet toasty in cold weather and cool in warm conditions. Underwear (plus extra). You should always pack extra because you never know when you might get caught short. Hiking Boots or Trail Runners. Make sure you break these in before you take them camping! Comfy shoes for wearing around the campsite. Sunglasses (Polarized shades are ideal for blocking the bright sun). Long pants & long-sleeved shirts. Just in case the temperature drops or the weather turns. PJs for sleeping in. Preferably, these should be nice and warm for the cold nights. Water shoes or sandals with good grip. Swimsuit, because you never know when the opportunity will present itself. Laundry bag, so that you can keep all of your dirty clothes in one place. Soap for washing (preferably biodegradable). Shampoo or dry shampoo, depending on if you have shower facilities. Comb, hairbrush, clips, and bands to keep hair brushed and out of the way. Make-up bag, if you feel the need. Feminine hygiene products, because you never know when you might be caught out. Towel for drying off after washing or being caught in the rain. Toilet roll for when nature calls. Shower bag/portable shower (if your campsite does not offer washing facilities). Mobile phone and charge, as well as a car adapter. Camera, a spare battery, and the charger for amazing photographs. Electrical hook-up connector (if you plan on using electricity). Cash and credit card for emergencies. Chairs for comfort on the campsite. Travel clock and/or travel radio. Clothesline and pegs for the laundry. 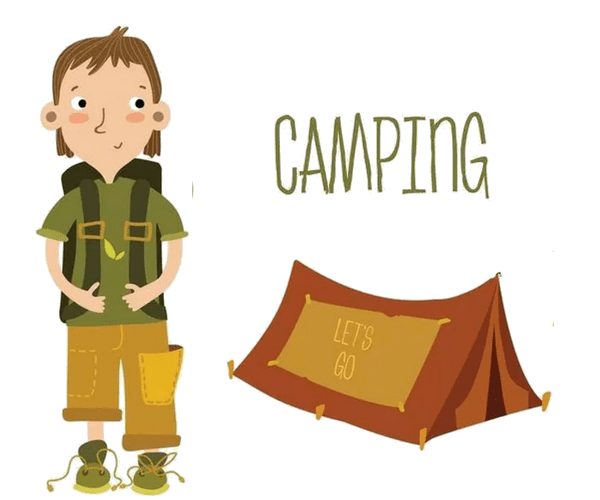 Games and activities are an important part of camping, especially if you are going with kids. 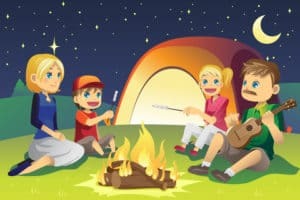 Here are a few ideas for fun and exciting camping games that everyone can enjoy, regardless of age - We highly recommend that you leave electronic games at home for once. Bikes and helmets for adventuring. Fishing gear if you are camping somewhere that offers it. Colouring books (for kids and adults). Travel board games like scrabble and battleship. Frisbee for all the family. Food (plus extra in case you get stuck). A travel bowl that they can eat/drink from. A bed to go inside the tent with you. Toys to keep them entertained. Collar and lead with ID tag. Microchip so that you can be reunited. Any medication they are taking. Pack extra bandages in your first aid kit if you are bringing your pet so that you can tend to any wounds they might receive while they are camping with you. Before you head off on your camping trip, it is important to make sure you are completely prepared. While checklists are the best place to start, there are a few tips you should bear in mind when it comes to heading off on your first camping adventure. One of the first things you should do is pitch your tent in your garden before you go away. This way, you not only get some pitching practice, but you also get to examine the tent for faults or defects – giving you the chance to return it if necessary. After all, there is nothing worse than arriving to find that you have a faulty tent (or that there is a leak in the roof). Your gear should be checked over for the same reason – finding out that you have faulty or damaged gear when you arrive at the campsite can not only be devastating but also ruin your trip. Examine your gear carefully before you pack it up to go, and if anything is not as it should be, take it back to the store to be returned or exchanged. Once you get onto packing everything up and start getting ready to load it into the car, make sure you have each of your checklists carefully written out and put away carefully in a place where they will not be damaged or forgotten. That way, you can check off each of the things that you pack on your way there, as well as on the way home – so nothing ends up forgotten. When you do go to pack the car, make sure it is done carefully. The heavy and bulky items should be neatly packed at the bottom, while the lighter and the more fragile items should be closer to the top. Anything that it delicate should be packed in such a way that it is nice and secure in your car. If you have a long journey ahead of you, it might be an idea to bring a cool box with some snacks and water inside so that you have something to munch on during your journey. While you are driving to the campsite, it is a good idea to check up on the rules for the place you are visiting. Often, they will tell you about etiquette while on the site, as well as places of interest and ones that you should avoid. You should also bring a map of the campsite with you to serve as a visual reference when reading the rules, but also when taking a look at where you will be camping. Familiarise yourself with the site, each of its exits, and any important buildings (like the office and shower areas). This is especially true if it is a campsite where you don’t need to reserve a spot in advance. Arriving late will leave you looking for a free space and feeling flustered while you try to get everything set up before it gets dark. Plus, if you have kids with you, there are the added stresses off getting them fed and settled while you are trying to get the tent and site ready to go. Worst of all, if it is a campground with no option to reserve in advance, you will have to leave if it is full – ruining the trip for you and everyone else. Get there with plenty of time, and you can relax. Now that you have arrived, you can pitch your tent and get settled in your new home for the next few days. You will likely find that your campsite is quite relaxing and quiet, which is what makes it the perfect retreat from the rest of the world. However, there are a few tips that you will want to keep in mind, and make use of, while you are at the campsite. There isn’t much that is better than cooking outdoors on a camping trip, and if you haven’t experienced it yet, then it’s something you will definitely look forward to. Before we get into more detail about cooking at the campsite, you might want to check out this free camping cookbook from Go Outdoors for a few suggestions, as well as online videos for culinary inspiration. However, before you start cooking, you need to determine which stove or BBQ is going to work best for you. We have gathered the main cooking options for you to take a look at. Multi Burner stoves. These are great for families or large camping groups. They have multiple cooking areas, including a grill and toaster, and are often fuelled by a gas bottle connection. Single Burner stoves. These are a good choice for single campers or couples, as well as those who are camping at festivals (as long as they allow gas). They have a single cooking area, but come in a range of styles. They are fuelled by a gas cartridge or bottle, depending on the stove. Solid Fuel stoves. These are the ultimate form of festival cooking, and are allowed at practically all of them. They are small and lightweight, as well as perfect for one pot meals that aren’t too tricky. They are cheap to refuel, and the burning tablets last a good amount of time. Backpacking stoves. These are perfect for hikers, but also for wild campers who have restricted amounts of space and need to keep things light. They are perfect for simple, one pot, meals. Liquid Fuel stoves. This form of stove is also great for festivals, as well as backpackers and wild campers. It’s lightweight and cheap to refuel, which is what makes it such a great option. Plus, it lights instantly and is ideal for simple or one pot meals. Gas BBQ’s make the perfect option for those who have large camping groups or a spacious cooking area on the campsite. There is less mess than a charcoal BBQ, and it is fuelled by a gas bottle. Plus, they work best with a stove for water boiling amongst other things. Charcoal BBQ’s are ideal for large and small groups alike, and are also cost-effective when it comes to the price of the fuel. They use charcoal, and work best when they are used with a stove for water boiling amongst other things. Butane. This is the most commonly used gas for camping. It’s an efficient burner, and is ideal for use in the spring and summer months. Plus, it is cleaner than propane when it burns. Calor gas is the ideal choice for UK camping, and there are loads of refill points across the country. Campingaz is the best choice for European camping, and is the only brand that has refill points in Europe. Propane. This is not as frequently used as butane, but it is the best option for winter camping – which is probably why it is the least common of the two. It works at low temperatures, and can even burn when it reaches below freezing. There are a number of different brands that can be used. Never cook inside a tent or an enclosed area. If you need a sheltered cooking area, you should look into a gazebo or a tent porch that has sufficient air circulation and ventilation. Never use the stove or fuel burners to heat your tent when it is cold. Tents do not have the required ventilation to prevent a build-up of carbon monoxide, so if you need to stay warm, we suggest getting into your sleeping bag or putting a few extra layers on. On a related note, you should never operate a diesel or petrol-powered engine in an enclosed or confined space. Measure the ingredients for each meal ahead of time and pack them in pots or Ziploc bags so that they are ready to go when you arrive. Prepare things like soups and chilli ahead of time. You can freeze them, and then store them in the cooler while on your trip. This will provide you with a quick and easy meal. Freeze any meat before you put it in the cooler. Not only will it keep longer, but it will also ensure that other food stays cool. Cover your pots when you are cooking outdoors as it will cook the food faster and save you fuel. It also keeps insects out. Making sure the cooking equipment that you use is fireproof. Pita break will pack and keep better than regular bread while you are on a camping trip. Plus, it has a variety of uses. Make sure you cook all meat thoroughly to avoid potential illness when you are camping, especially in the case of beef. An undercooked burger could cause serious food poisoning. If you add too much salt, peel a potato and place it in the dish. It will absorb all of the excess salt, preventing your dish from being ruined. Leave no trace is a worldwide expression, and it refers to the importance of keeping your campsite clean so as not to damage the natural beauty of the campsite, and also to ensure that you do not negatively impact the environment. Don’t exceed the boundaries of your campsite, and don’t build structures or dig holes/trenches. Campsites are carefully chosen and made so as not to cause too much disruption to the area or the vegetation. Instead of moving rocks and logs to create seats (which can disturb habitats), consider bringing some camping furniture with you instead. These will have a much smaller impact, and will also leave you feeling pretty comfortable when it comes to relaxing. Bring a clothing rack to dry your laundry, as hanging it on tree branches can cause damage to the tree and make it more susceptible to diseases, as can hammering a nail into it in order to hang a line. Make sure you have brought plenty of bags for your rubbish, and for collecting your pet’s waste if they are coming along with you. These should all be disposed of in the designated bins on the campsite. If these are full, however, wait for them to be emptied or bring them home with you to throw away. Food waste counts as rubbish, don’t even leave an apple core on the ground of the campsite. You should bring and use biodegradable soap for washing your dishes, and this should be done at least 200 metres away from any natural water source. All types of soap can affect the quality of the water, and this can negatively impact the creatures living in it as well as those drinking from it. If you need to bury human waste, it should be done so at least 200 metres from camp and any natural water source, as well as buried in a hole that is 6-8 inches deep. You can also purchase WAG Bags for human and pet waste which are completely biodegradable. Never build a fire outside of the predetermined ring, and only ever burn wood. The wood should be burned to ash, and you should always check that the pit is cold before you leave the campsite as this will reduce the risk of fire. Knowing how to store food correctly is one of the most important parts of camping, especially if you are in the USA and in an area that has a bear population. Here are some of the key rules and regulations for safe food storage while out on a camping trip. The first thing to do is research the campsite and check out any rules for food, including the type of food that you can bring with you. Some campsites will require that you bring bear-proof containers, and others will have specific lockers on the site where you can store your food away safely. In the UK, there are little to no restrictions on food, so this is not as important. For those in the USA, the next most important thing to do is purchase bear-proof containers for your food. This will ensure that they cannot smell anything and will not be encouraged to scavenge in your campsite as a result. There is nothing worse than the aftermath left by a bear or pack of racoons when you return from a day of activities! Make sure you have a cool box with you so that you can pack away food items that need to stay cold. A really good quality cooler will be able to do this for several days, but no more than a week. Some campsites do offer refrigeration services for those who are staying a while and have raw food. Often, it is best to keep food and drink in separate coolers. Anything that you are going to put in the cool box needs to be refrigerated the night before so that it remains cool. Meat that will be eaten in the next couple of days should be frozen before you put it in the cooler. Some food can be cooked before you leave, which will help it keep for the duration of your trip. It can then be reheated for one of your meals while on the site. Remember to keep raw meat away from cooked foods. Non-perishables should not be kept in a cooler. Instead, store them in a paper bag separately from the other foods. This includes things like trail mix, bread, crackers, and canned fruit/veg. if your campsite does not provide fresh water, you should keep it in jugs so that you have plenty of it available. Plus, you can purchase purification tablets if they are needed at the site you are planning on visiting. The UK is quite kind when it comes to toxic plants, but there are a few that you might want to watch out for when you are out camping. Giant Hogweed. This is considered to be one of the more dangerous plants in the UK, and it bears a very strong resemblance to cow parsley. It can grow up to five metres tall, and is often found along riverbanks and footpaths. If the sap from the plant comes into contact with your skin, it can cause very severe and painful burns, as well as cause your skin to become sensitive to strong sunlight. The blisters heal very slowly, and the affected area should be washed with soap and water as soon as possible. If you feel sick after coming into contact with the sap, you should speak with your doctor. English Ivy. Contrary to popular belief, we do not have poison ivy in the UK. However, English ivy can cause irritation of the skin when handled if you have sensitive skin, and so care should be taken when you come into contact with it. Parsnip Plant. This plant tends to grow along roadside ditches and railway tracks. If the sap comes into contact with your skin, it can cause irritation, blistering, and sensitivity to sunlight. If any of these symptoms persist after coming into contact with the sap, you should seek advice from your doctor. Aconite. This plant is often called monkshood, and it is frequently mistaken for herbs like horseradish or other edible herbs with white roots. While this purple plant may be pretty, its entirety is laced with aconitine poison. When this is ingested, it can cause the mouth to burn, diarrhoea, vomiting, heart irregularities, coma, and even death. If you touch the plant, it will often cause a tingling and numbness in your skin. It produces a burning sensation as well as a lumpy rash. Dock leaves are an amazing natural remedy that neutralises the stinging nettle when rubbed on the hand. Poison Ivy. This plant is found everywhere except the West Coast, and it is known as the prince of poisonous plants. If you come into contact with this plant, it will cause the affected area to burn and itch. Don’t scratch it though, as this will spread the toxins to other parts of your body which will cause secondary rashes. Burning the plant can cause the oils to spread through the smoke, and inhaling them can cause horrible illness. There over the counter remedies available to help treat the symptoms. Poison Oak. This plant is very similar to poison ivy in terms of the symptoms it causes, such as burning, itching, and the cause of illness when inhaled via smoke. Eastern poison oak has a similar appearance to poison ivy, with three leaves and white berries. Western poison oak is a shrub-like climbing plant that can grow up to 8ft high. If you touch it, wash the affected area with soap and water as soon as possible. Poison Sumac. This is considered to be one of the most poisonous plants in the USA. If it comes into contact with your skin, it causes itching and burning, that will spread if you decide to scratch it. When inhaled, it causes severe irritation of the lungs, and can leave you feeling really unwell. It resembles a small tree and can grow up to 30ft tall. You are likely to come across this plant in wet areas, bogs, and swamps in the Eastern USA. Angel Trumpet. These pink flowers have petals that are shaped like a trumpet, and they are truly very beautiful. However, they hold a deadly secret in their seeds, the consumption of which can cause hallucinations, blindness, and even death. They grow along the southern coast of the USA, and many people have them growing in their gardens. Keep yourself, and your pet, away from these. Rosary Pea. These plants have very cute red berries that take on the appearance of beads, and you can find them throughout the Southern states. If you chew or swallow these berries, the results do not tend to be pleasant. This is because they contain a fatal toxin called Abrin, and the berries will cause nausea, vomiting, fever, seizures, and finally, death. They can grow up to 20ft high, and originated in Indonesia. Black Adders. Interestingly, Adders have the most developed venom injecting mechanism of all snakes, but they are not aggressive animals. They will only bite and use their venom as a last resort – usually when they have been stepped on or caught. They are distinctive by their entirely black colouring or the brown zigzag on their back. No one in the UK has died from an Adder bite in over 20 years, and if you are bitten, you should seek medical attention urgently. Wild Boar. These were hunted to extinction in the UK several centuries ago, due to the meat being very popular. However, after many domesticated boars escaped from farms and began to live wild, the population has started to grow again, and the UK has been blessed with many sounders of boar. While the piglets are adorable, adult males weigh more than the average human, and they can be quite aggressive. As a result, you should always keep your distance. The same goes for when you see piglets, as the mother is likely to be close by. Cattle. Cows are great, and they are some of the sweetest farm animals around. However, any people perceive them to be dumb and dumpy animals, but this is far from the truth. While they are lovely, if they feel threatened, or they feel their calves are threatened, they can become very aggressive and dangerous to be around. People have been killed by cattle, and this is why you should always keep your distance, and your dog on a lead around them. Many of the animals in the USA are afraid of humans, just as they are anywhere else in the world, and they aren’t a massive cause for concern. Of course, we are no match for bears and other such creatures, so you should always be cautious when you are out camping. Bears. Black bears are the most common ones that you will encounter, and there have been a minimal number of fatalities caused by them. All they really want is your food, and that’s why you keep it in bear-proof containers while you are camping. Brown bears are a rarer sight, and they just want to be left alone. If you come across a brown bear while you are out exploring, use bear spray to discourage them from approaching you and make loud noises if that doesn’t seem to dissuade them. There are some great bear safety tips here. Wolves. In the past century, only two people have been killed by wild wolves, and they only attacked because they felt threatened. They are not inherently dangerous to people, and there have been a lot of misconceptions about them in the media which have caused us to see them as these ferocious and horrible beasts. We have hunted them to near extinction, and they are understandably afraid of us. If you see one in the wild, you should count yourself lucky, and they will likely watch you with curiosity for a moment before running off. Obviously, you should be sensible and not approach them (as they could feel threatened by this), and also stay out of the woods after dark so as not to startle them. Coyotes. These wolf-like animals don’t tend to be afraid of humans, and will often approach freely. They are not necessarily aggressive, but as with all wild animals, you should practice caution. They have a tendency to attack domesticated dogs, and will actively hunt them, with even large dogs being vulnerable to attacks from a pack. If you make loud noises at them, you can often chase them away if you come across them. Mountain Lions. These animals tend to be very shy, but in times of drought, they become more commonly seen by humans as they seek out water sources. There have been a couple of tales of them attacking joggers, but this is exceptionally rare. They pose more of a threat to your pets, and possibly small children. Keep them close to you, and don’t go out adventuring around dawn or dusk when they are most active. If you see one, or think one is stalking you, make yourself big and act like a noisy predator to scare them off. They tend to be pretty scared of humans, however, so you shouldn’t have much trouble with them. Alligators. These are pretty terrifying creatures, and there are a lot of them in the USA. They will eat humans if they get the chance, and so the best thing to do is to completely avoid bodies of water where they are known to live, and to also keep any food away from those areas as it could entice them. Stay away from the banks of these areas too, as alligators not only have powerful jaws, but are also incredibly fast. The main thing to remember is that if you leave an animal alone, they will generally leave you alone too. Unless they have rabies, there isn’t any need to be too worried. Just follow safety procedures and use common sense, and you will be just fine. It is also important to remember that you should never, ever, get between a wild animal and their offspring. This will lead to an attack as they will see you as a threat to their cubs. Of course, you will probably end up leaving your tent and campsite for a little while each day. It can be a nerve-wracking experience because you don’t know how secure your things are going to be, but we have a few tips to leave you with a little peace of mind and knowledge that your tent and campsite are a little more secure than they were before. After all, it’s not exactly practical to set up a full-on security system with cameras and barbed wire fencing. When you are at the campsite, you are likely to have neighbours nearby, and one of the best things you can do is be friendly and introduce yourself. Building up a friendly relationship means that you are more likely to be told if there are any suspicious activities, and your neighbours will probably watch your tent for you when you are away, and they are still on the site. As a bonus, you could even end up with some future camping buddies. If you have any valuables, you should keep them out of sight. That way, the temptation to steal them is removed. Some people opt to keep them in their locked car in a covered place, and others tend to take them with them when they go exploring or take part in activities. Regardless of your choice, you should make sure that it is a hidden and secure place for them to stay. As a side note, hiding valuables at the bottom of your sleeping bag does not count as a secure place, and it is often the first place a potential thief will look. You should have a little checklist that you use each day to check your valuables are all there. Go through it before you leave and after you return so that you can keep a close eye on what has been happening and also to ensure that nothing has gone wandering. Ultimately, your camp security comes down to using common sense. You should be sensible with your choices, and also ensure that you do not flash or flaunt your valuables while you are relaxing at the campsite. If you are sensible and use your common sense, your campsite will remain as secure as it can. Once your trip has come to an end, it is important to be just as careful and prepared as you were when you were making your way there. It is important that you leave no trace of your presence there, and that you leave everything tidy before you go. Here are a few tips to not only make packing up a little faster, but also to remind you of some important packing up camp rules that will come in useful on every trip. Just like when you were packing to go on your trip, leaving the campsite requires the same amount of care. Take your tent down carefully and ensure that it is all packed up carefully so that it remains in pristine condition for the next trip. Make sure that you get all of the pegs out of the ground and put them away securely so that you don’t lose any of them on the way home. Your equipment, things like your stove, should also be packed up carefully, as these can be both fragile and expensive, so replacing them is not ideal. You should take each of your checklists out and tick off each item as it is packed away so that you know what you have and if anything is missing. That way, it is much less likely that anything will be left behind. When you pack the car up to leave, you should do it the same way as when you arrived – put the heavy and bulky items on the bottom and carefully layer the lighter objects on top. Fragile pieces of equipment should be secured carefully in your car to avoid breakage when you come across bumpy parts of your journey home, or if you need to stop suddenly. We’ve talked about the leave no trace rule before, but it is such an important rule that it is essential that we cover it here too. Of course, the purpose of leave no trace is that you depart the campsite with it looking just as it did when you arrived – like a part of nature. 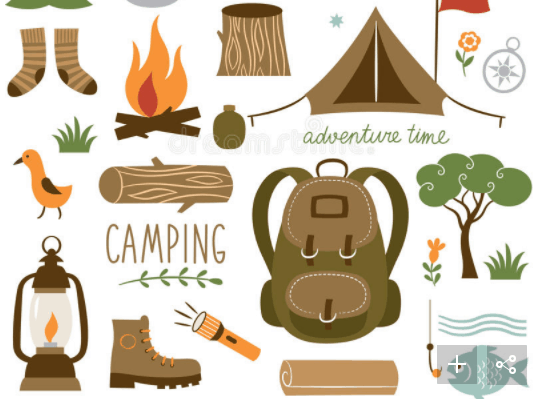 Camping is all about reconnecting with the great outdoors and enjoying the beauty of nature, and that’s why it is important that you leave it looking clean. Plus, rubbish can negatively impact the wildlife and the environment as a whole. When you have packed all of your trash into bags, you can dispose of them in the bins that are on the campsite. However, if the bins are full, the worst thing you can do is leave them on the ground next to the bin. It doesn’t matter if other people have done it, you should either find a campsite official to notify or take the rubbish back with you until you find a bin. Camping is all about respecting your surroundings, and dumping your rubbish is not part of that. To ensure that the site is left in pristine condition, you (and your group if there are others) should walk around your campsite in search of micro-trash that could have been missed when you were cleaning up. This just helps to make sure that you are leaving the site in perfect condition and that the environment and wildlife won’t be impacted by negligently left rubbish. Every campsite has a different set of rules, and some of these apply to leaving. Some might require a campsite inspection before you leave, others might need you to check out, and some may not need you to do anything at all. To ensure that you are following all of the rules and regulations, make sure you check the brochure or website for the campsite so that you can carry out any instructions for departure. Leaving on good terms will mean a pleasant trip if you decide to return again the following year. Of course, it can be very beneficial to speak to more experienced members of the camping community, or to band together with a group of beginners so that you can all learn together. One of the great things about the internet is that it knows how to bring people together for reasons like this, and you will find vast numbers of websites that specialise in camping. 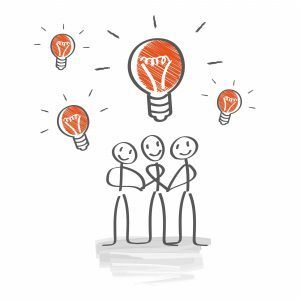 Whether you are in the UK or the USA, we have collected some of the most popular websites, forums, and Facebook groups for you to join and take a look at. After all, there is no harm in chatting with the experts for a little additional advice before you head out. Plus, it gives you the chance to help future novices once you become more seasoned. Hopefully, this guide has helped you to better understand what you need in order to have the most successful first camping trip. It may seem a little overwhelming at first, but there is nothing worse than forgetting a piece of essential equipment and ruining your trip. The key things to remember are that you should always remain organised, and ensure that you follow the rules when you are at your campsite. When it comes down to it, there isn’t a great deal that you need to remember, and the most important thing is that you (and those you travel with) have a great time. We hope that this will be the first of many camping trips. What did you think of our ultimate beginner’s guide to camping? Is there anything that you would have added to the list, or things that you think are important to mention? We love hearing from you, so leave us a message in the comments below. l I have looked at your Guide. It looks fab, I have shared on The Original Hut Company FB page. 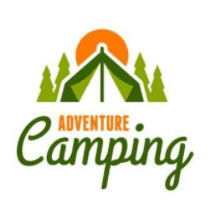 Will look into posting a link on our website although there are several points that would be fairly inaccurate regarding the camping and glamping accommodation. Ie . I would also consider us to be a small campsite as we are limited to only 15 pitches per site a maximum of about 60 people) . We never mark pitch boundaries. The site opposite us has 240 pitches, but is also not considered to be very large by comparison to some of the more commercial sites. Most campsites do not allow fires. I like it that you really targeted the first time camper audience although there are bits in it useful for experienced campers too. It is brilliant that you make a good point on clearing up ( leave no trace) and also advising on checking rules. I believe camping is a way forward to break away from busy life’s and educate people kids in particular about nature and simplicity. There is one thing i would add maybe in a playful manner on the section where you talk about games. I would mention that it is possible to leave some electronic devices at home and switch off wifi and still have a meaningful and adventurous weekend. It is rather sad that i receive emails from parents asking about wifi facilities. It seems that they often make there booking dependent on whether there is wifi or not as they believe that their kids wouldn’t survive the weekend without it..
You seem to have missed off the most common type of camping – staying at a licensed site such as ours. Where there will be a range of facilities available from very basic (just a toilet) to very whizzy. There doesn’t appear to be a category for this under types of campsite either – camping and caravanning club sites are only a fraction of those available. You should also mention the “wild” camping” in the UK is restricted to Scotland and even there restrictions have been introduced in popular areas (mainly around some of the lochs). The first item on your “common facilities list” is a fire place for an open fire on UK campsites these are NOT common – modern lightweight tent and embers from an open fire not being a good mix. Not sure raised platforms for (self pitch) tents are particularly common either – these tend to be associated with prepitched glamping type set-ups. You’ve not included an electric hook-up anywhere, again very common and a must have for many if not most family campers. Other than the wood for a fire (particularly free wood) the things in your “not so common” list tend to be available at the majority of campsites in the UK. You’ve not mentioned WiFi anywhere – tends to be an essential requirement these days, but isn’t provided everywhere. Under small campsite, etc. you appear to be talking about pitches rather than campsites, which will contain a number of pitches. You’ll not find too many ridge tents these days and inflatable tents are now very common. Quick pitch tents are just that, but are extremely difficult to put away if you don’t have the knack. Camping essentials – have a look at the “tent talk” group on Facebook!!!!! A very Interesting post for the novice camper which provides them with much guidance and ideas when considering this as a holiday/short break. From our experience there are now many types of camping holidays available from back to basic to the luxury/glamping experience and rules vary greatly from park to park. I enjoyed reading your guide – it certainly is very comprehensive, it must have taken you ages to put together! But, I think it looks good and I liked all the accompanying images! I love the look and ‘feel’ to your article. It is packed with great advice. I would love to put this link onto our website. BTW we always have a need for outdoor footwear, we have a wetter than average clime. I will promote the web page as too many arrive ill footed. As requested I’ve looked through and think it’s a great article to promote. A couple of points……please…..this is my opinion only, not a reflection on you or your article. One point you may wish to research is your paragraph about inflatable tents. I have found, much like technology, the initial inflatable tents were expensive and early versions could be improved upon. It was the supports or poles that were inflated. They are now dropping in price, still expensive, but are becoming more popular due to the ease and speed of erecting. The later models have been improved, I’m seeing more of them arriving on site. Not loads, but purchasers tend to be very happy with the product. Purchasers must always check the pump before setting out, they tend to be tent specific, if they are defective when you are at the site, you have no method of tent erecting. Could be worth adding that these tents are worth keeping an eye on. Just a thought. You have mentioned the waterproof measurement of a tent. I have found that the 2000mm recommended is a little ambiguous. 3000mm is better suited for driving rain, all the 2000mm recommended tents get left with me as the rain never poured in but the owners are buying a higher hydrostatic head [HH] tent. Or if it’s a first time camping trip the tent gets slung in the bin and the owners hate camping. [Again this is experience] Perhaps mentioning to the purchaser that whilst they save money on the lesser HH rating, will their family enjoy the trip if they are wet? As I said our site in Kielder is a wet area, hence the reservoir. Great to see the pet list, very good! Also your label for part 9 at the top of the page reads ‘Campsite Security’ but it should read ‘Campsite Community’. I’ll try to find time read the article properly, but suffice to say that at first glance, I’m very impressed. I’m the new President of the Grand Canyon Historic Society as Wayne was termed out. Board members can serve only two three year terms and Wayne’s leadership will be missed. I had the opportunity to look at your camping guide. It is well done and should help people as they get into camping. One thing I saw that was missing was the need to research what are the access limitations. I live in Kanab, Utah which is often visited by many people from all over the world wanting to see the Grand Canyon, Zion, Bryce National Parks and the many National Monuments that surround this part of the world. Many of these visitors wanting to see the things they see on line or hear about from friends. They are often surprised that fees are required to enter these parks and permits are required to have access to camp grounds and the many areas for hiking and camping. Because of the popularity of these areas demand is so high that lotteries often determine who gets the permit. For example do a google search for “The Wave”. Hello, Will! I liked all the useful information you had on everything posted here, and have added a link to your site from mine. Again, good job, keep up the great work! I have read your article, which is pretty comprehensive, and I’m sure would be a good basis for first time campers. Some of the information may not be relevant to Cornish campsites we have a huge variety down here and quite a lot of ‘pop up’ sites over the summer. We do also see a lot more inflatable tents down here and I think the popularity is growing, so competition between manufacturers is bringing the price down. I would always recommend to buy the best tent that you can afford, with the highest Hydrostatic Head. We certainly need it in Cornwall. Our weather can be very challenging for campers 😉 When it is good however, it is a spectacular part of the Country! One or more in a “novice renter” group don’t always like sleeping in the dirt, e.g. Hubby likes camping, wife does not. 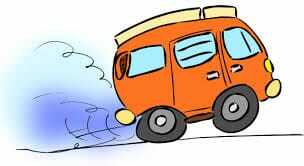 An RV rental (Caravan hire) is a good solution. A few days in the city, followed by a few days “glamping” in an RV, then another few days in the next big city. The California “loop” is a good example of how Europeans like to travel and see the big cities as well as the national parks. The market for vacation rentals in the USA is much larger than that of RV rentals. $350 million (USD) compared to $24 billion (USD), approx. Same scale worldwide. There are a few thongs that I don’t necessarily agree with. Cars on our site have to parked in the carpark, we do not allow cars on the actual field, there’s no designated picnic areas and we do not mark out pitches, instead we offer plenty of space for yo to choose your own spot. we don’t cram you in and so everyone always feels like they have plenty pf space and privacy.